In 2007, Willie Nelson & Family performed at a fundraising concert in Peru, Illinois, for the Peru Catholic School. 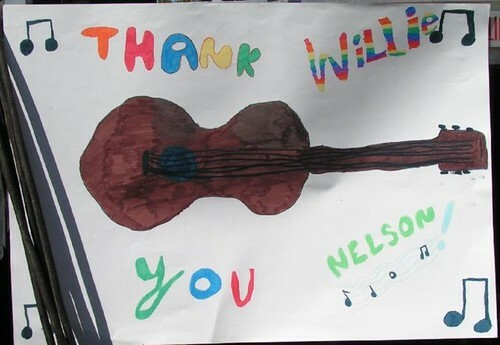 This is one of the hundreds of cards and posters presented to Willie Nelson by the students of Peru Catholic School last year. The kids wanted to thank Willie for helping to raise money to help the school build a playground. This entry was posted on Sunday, November 20th, 2016 at 10:16 am and is filed under Good causes, Thank You Willie Nelson. You can follow any responses to this entry through the RSS 2.0 feed. You can leave a response, or trackback from your own site.